Rockin' out in Austin, Texas. What to eat, what to see, what to do. Welcome to Austin, Texas – capital of the Lone-Star State. A lonely, counter-culture blue dot in a sea of red. But like their Lone Star brethren, they go big on the history and set it to a rock-n-roll soundtrack. Back in 1836, when Texas was still a sovereign country, its capital was Houston; but when soon-to-be President Mirabeau B. Lamar visited Austin during a hunting expedition, he became enamored with the area’s pleasant climate and scenery. Once appointed President of the Republic of Texas, Lamar relocated the capital to what was then known as Waterloo in 1839. In addition to relocating Texas’ capital to Waterloo, he renamed the area “Austin” in honor of Stephen F. Austin, Texas’ founding father. By 1846, the Republic of Texas had dissolved as America welcomed the state into the Union. Since its admission into the U.S., Texas has cultivated a strong sense of identity, perhaps best reflected in Austin. The city of Austin is an uncommon blend of big-city luxuries and opportunity, fused with small-town originality and charm. 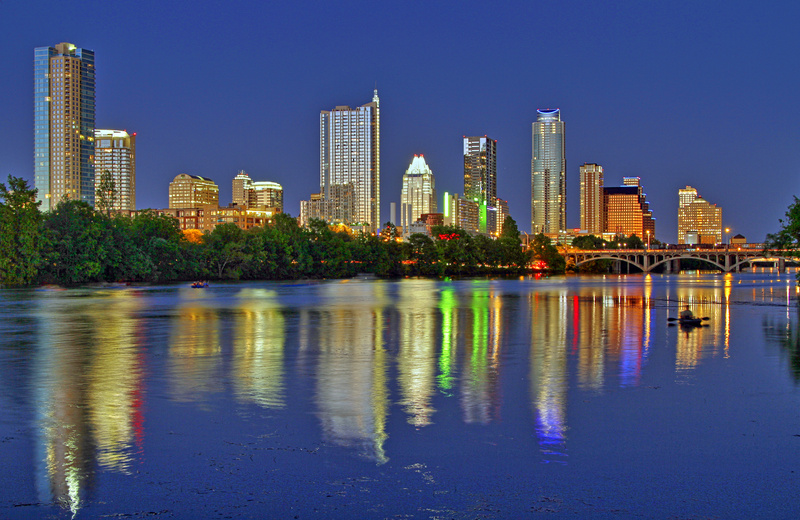 The city is known as “Silicon Hills” and “The Live Music Capital of the World,” owning to Austin’s leadership in both the technology and entertainment arenas, while the recently adapted “Keep Austin Weird” slogan emphasizes the local commerce and the free-thinking, vibrant spirit permeating the city. The Live Music Capital of the World® blares with sounds of live bands every night of the week, in more than 205 live music venues like Stubb’s Barbeque and The Mohawk that boast a long history of world-famous performers, Willie Nelson included. South Congress’ Guero’s Taco Bar and The Continental Club round out the Austin experience on this famous strip with great food and live music. 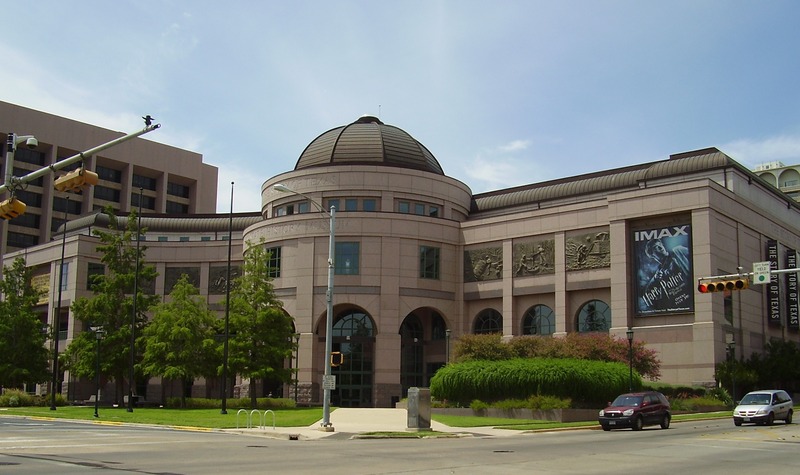 Enjoying Austin’s bubbling social scene is one way to get to know the city, but to really understand Austin – and Texas – spend some time at the Bullock Texas State History Museum. The museum features 3 floors of interesting exhibits and entertaining presentations, chronicling the story of Texas through its early inhabitants to the widely diverse peoples that now call Texas home. If there’s one particular area that highlights the “Keep Austin Weird” mentality, it’s the historic 6th Street located downtown. 6th Street was one of the first commercial areas to be developed in Austin, with the majority of the buildings being constructed throughout the 17th and early 18th centuries. Now, the historic buildings of 6th Street play host to the various music venues, restaurants, bars, and unique shops that encompass them. In addition to some of the city’s best known restaurants and entertainment venues, visitors to 6th Street will also find Texas’ famous Driskill Hotel – a staple of Texas grandeur and hospitality. After amassing a fortune during the Civil War, cattle tycoon Jesse Driskill decided to lay his roots in the charming city of Austin, Texas. Wanting to create a luxurious getaway for society’s upper-crust, he invested much of his resources in developing the self-titled, Driskill Hotel. The Driskill Hotel was a southern palace, featuring 4 stories of hotel rooms and luxurious amenities. Colonel Driskill was so proud of his hotel that even after his passing, many still claim to see him walking the halls of his beloved showpiece. Today, the Driskill is sought out for its luxury lodging and rich history. The Driskill provides lavish guestrooms and suits and also offers upscale dining services and entertainment. President Lyndon Johnson and his future wife, Claudia Taylor, met for their first date at the award-winning Driskill Grill and became regulars at the hotel from then on. The Driskill Hotel is in walking distance to many of the city’s attractions, including Zilker Park. Zilker Park hosts world-famous SXSW® Music Conference and Festival and Austin City Limits Music Festival and serves as the Austin hub for outdoor fun. The 10-mile Lady Bird Lake Hike and Bike Trail buzzes with people enjoying the temperate climate at all times of the year, and locals and visitors alike cool off at Barton Springs. Your trip isn’t complete until you’ve been to the Cathedral of Junk. The Cathedral of Junk began in 1988 as a “cool” pastime for creator Vince Hannemann. Currently the cathedral maintains over 60 tons of junk and continues to grow through the kindness of strangers. This large, multi-level wonder features observation areas and even a “Throne Room” where you can sit back and enjoy this whimsical work of art. Austin is an international destination for music and leisure activities and provides fun ways to learn about the historic Wild West. The city maintains a warm, friendly atmosphere fostered by the diverse Austinites that make the city shine. One visit to Austin and you’ll see why it’s the heart of Texas. Photos courtesy of Wikimedia Commons and Dollar Photo Club. Thanks for catching that. Have no idea how that got through the censors.